If you’ve recently quit smoking, congratulations! It’s one of the best gifts you can give to yourself. 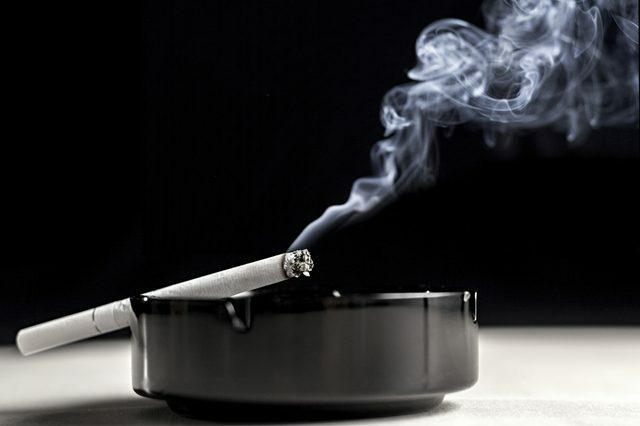 One of best ways to stay quit is to spend a few hours removing the odor of cigarette smoke. Once you realize how much better your home, clothes and car smell without that stinky odor, you’ll never want another cigarette again. Your first task: Throw away the ashtrays. They never really get clean and you don’t need them anymore! There’s nothing better than fresh air to remove smoke odors. Letting a fresh breeze in the home will go a long way to eliminating it. Febreeze spray will also work well when used on furniture. You can sprinkle baking soda on dry carpets to absorb stubborn odor. Let it sit overnight then vacuum thoroughly. If you are more of a “do-it-selfer”, like I am- Just make your own deodorizer with this recipe below. Use this to spray away odors, without a need to rinse. Fill a clean spray bottle with 2 cups of warm water. Shake to mix completely. Use the spray on washable surfaces to stop odors fast. Tar and nicotine gets stuck on walls, doors and cupboards. Ammonia will cut right through it. Use non-sudsy, plain ammonia to wipe down your walls and cupboards. Ammonia does a great job for cleaning and deodorizing and is inexpensive too. Ammonia will burn like heck if it gets in your eyes. Make sure you wear eye protection since you’ll be working above your head with your arms extended. Ammonia has a very strong odor, so open the windows to get plenty of air in the room when cleaning. 1 gallon of lukewarm water. Fire and water damage companies use a product called T.S.P. (Trisodium phosphate) to remove soot from walls. It is a strong stain remover and degreaser. It works wonderfully at removing soot and smoke, but it also damages paint, so be careful when using. Position a towel along the baseboard to help keep the flooring dry. Soak one wash rag in the pail with the ammonia solution. Starting from the bottom and working your way up, wash 1/4 of the wall each time, cleaning in circular movements. Dip a different wash rag in a second pail of clean water. You need to rinse the ammonia off the wall or cabinet. Dry the area immediately as you go, making sure to wipe up any drips that may run down. Mix 1 gallon of warm water with 4 cups of vinegar. Vinegar is a natural deodorizer and disinfectant. Dip the mop in the solution, wring out extra liquid and apply to the floor in a circular motion. Dry the floor after mopping by wiping with a clean towel by hand, or taking a towel and shuffling around with your feet. Unfortunately, there is no easy way remove tar and nicotine and eliminate the smell of stale cigarette smoke from heavy material such as draperies or blankets without laundering them. Wash any machine washable materials according to the directions on the label and add 1 cup of distilled white vinegar to each load. Don’t add bleach, since you don’t need to disinfect your clothes, just eliminate the smoke odor. You’ll also need to place bowls of baking soda or charcoal in your dresser drawers and closets for a time, as the cigarette smoke will have permeated the wood. Larger items that you can wash will benefit from being placed outside in an airway where a good breeze will do wonders for freshening the smell. Dry cleaning is expensive, but it is the only way to remove smoke odor from certain fabrics that cannot be washed and the sunlight is not effective at deodorizing. You might want to look into the services of a “green” dry cleaner. Your clothes will be cleaned and refreshed as well as they would be with conventional dry cleaning chemicals, but won’t retain that harsh cleaning smell. Fresh air will work wonders. You can shampoo the floor mats, carpet and upholstery. Use Windex and clean the inside windows and use the appropriate cleaning solution to clean the dash board and seats. Deodorize the car with a deodorizing spray such as the recipe I provided above, or a commercial product like Febreeze to help to make your car smell fresh. Be patient though- Clearing lingering cigarette odor from your house will take time, especially if you have a lot of books, stuffed animals and other items that have absorbed months or years of smoke. Keep these items near open doors and windows for several weeks if you can.